All parents hope to raise kids who read well, yet many rely solely on teachers to help their children to become good readers. Everyday life provides parents with many occasions to help their children, though, and since considerable learning happens outside of the classroom, these opportunities shouldn't be ignored. Basic literacy skills begin early in life, so parents, as their children's first teachers, shouldn't pass up any chance to give their kids a jump start on education. When they think about reading, many people focus on books alone, but in reality, the world is filled with written words. Everyday experiences can be used to enhance kids' reading skills, beginning right in their own homes. Encouraging kids to write notes, and leaving children written instructions about chores and schedule obligations encourages reading, as does playing word games. Breakfast cereal boxes and packaging from favoured snack items even offer reading material that may interest kids! Older children can help younger siblings by reading to them and offering help as they learn to read. Some families find it helpful to label items around the house so that kids learn to associate words with the names of familiar items. This practice is often used when trying to introduce a second language, but can be beneficial to reading skills, as well. Many at home experiences offer opportunities for reading—even baking a batch of cookies can be educational (and tasty!) for children. Reading recipes, locating ingredients, and following instructions can all enhance reading skills. Teaching kids the sounds that letters make can help them to become independent readers. When kids have the ability to sound out unfamiliar words, they soon find that they can read things that they might have thought were beyond their capabilities. Toddlers and preschooler have the ability to grasp the basic concept of phonics, so teaching the alphabet should include information on the verbalization of letter sounds. When they are young, kids often take pride in recognising letters and short words in unexpected places. Parents can ask their little ones to look at maps, road signs, and even roadside billboards in search of specific letters. For example, children may be asked to locate as many "A's" as they can while travelling, or to find all of the letters that comprise their names. At restaurants, kids should attempt to read the menus, and when planning family holidays, parents can ask their children to browse vacation brochures or look with them as they surf websites. Even routine errands offer opportunities for reading. 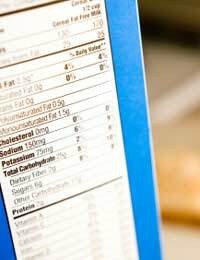 Asking children to help choose items when shopping for groceries by reading labels can not only enhance their reading abilities, but will give them an awareness of nutritional information, too. While kids learn an enormous amount during class time, just as much (if not more) learning takes place during non-academic endeavours. Smart parents learn to look for occasions to help their children expand their vocabularies and understand basic grammar. In the beginning, it may feel awkward to capitalise on everyday learning opportunities, but after the habit is established, parents find that it comes quite naturally.